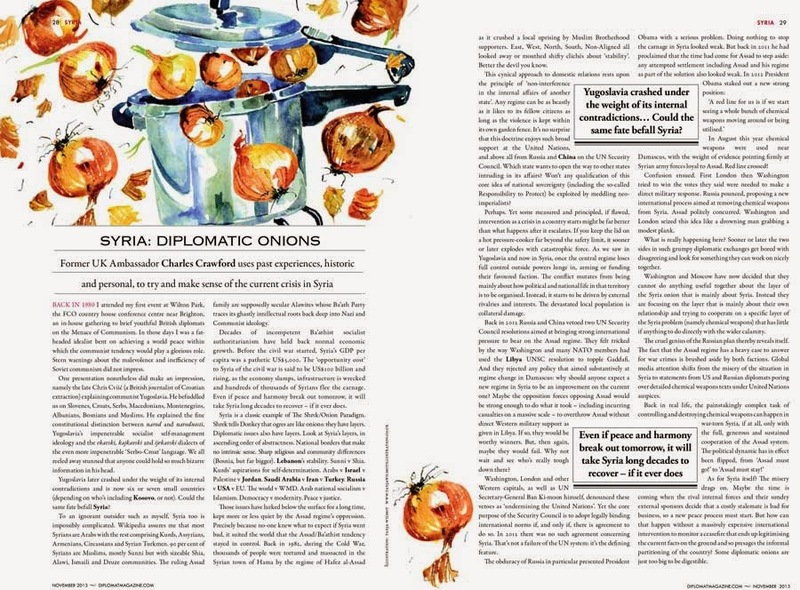 Onions and a pressure cooker explosion - the brief to illustrate a piece about the complexity of the Syrian situation, in a recent commission for Diplomat magazine. 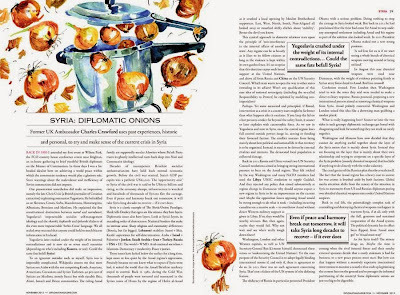 It was a fun surprise to see that the art director had added an escaped onion to the final layout. How wonderful to see your work in print Tanja! Very inspiring! 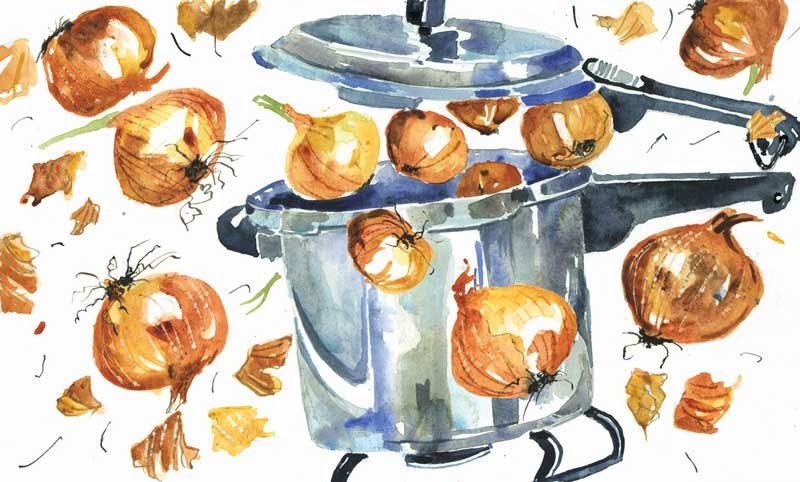 I love all the movement in the onions and the reflections on the pot. Thanks Aimee and Tom - I like this one too, it was one of those watercolours that just went ahead and painted itself (well almost but you get the idea) after I'd done the roughs in pencil.